If you — like everyone else — have Marie Kondo’d your home, then you likely have much more space to play with heading into this new year. So why not give each room a facelift? For those of who love getting new furniture but think you just don’t have the budget for it and think less expensive furniture will leave your homes looking cheap, it’s not true! 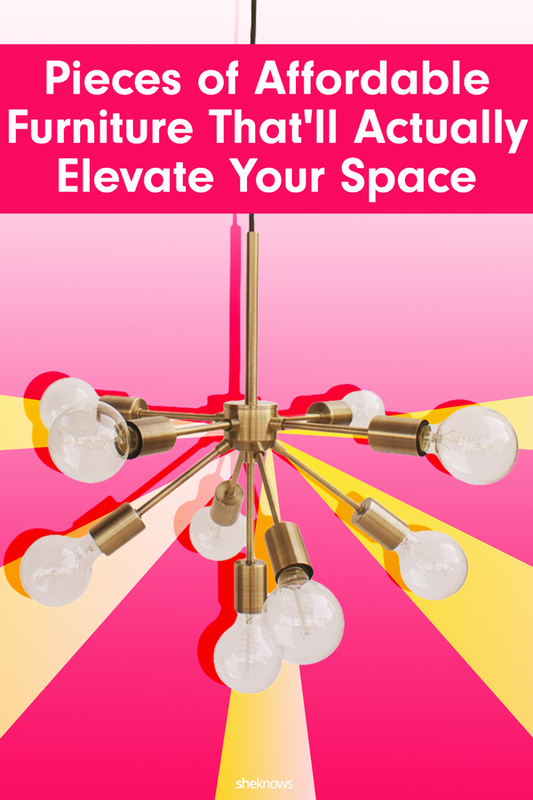 Chic, affordable furniture is everywhere, and it’s actually very possible to fool your houseguests into thinking your luxe-looking home cost you thousands. 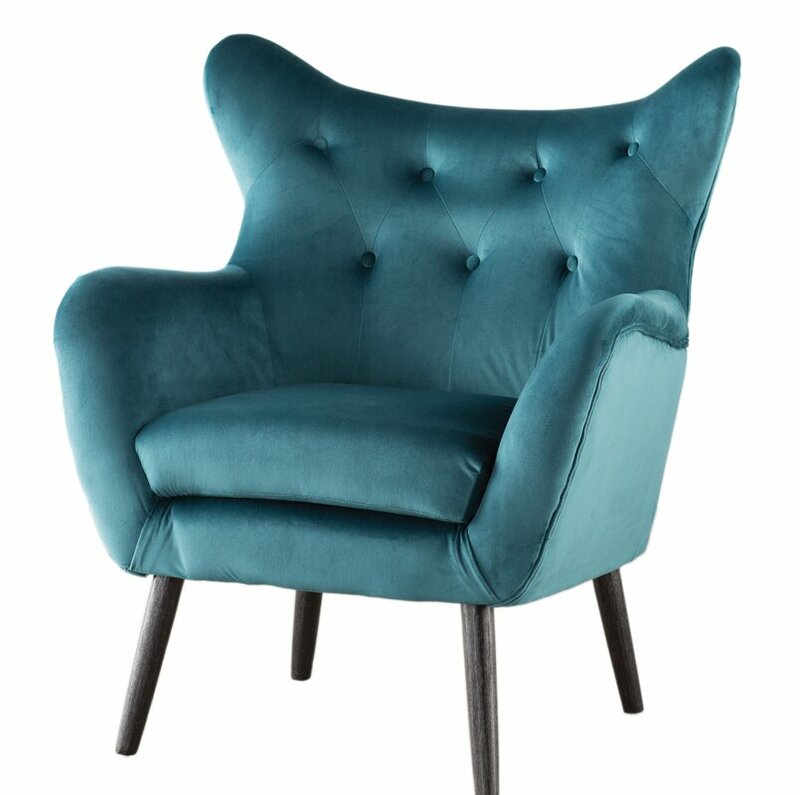 For starters, when it comes to chairs and sofas, opting for velvet is always a solid choice. It not only gives the impression the seating area is expensive, but it’s also eye-catching — especially if you gravitate toward jewel tones, like emerald green. As far as coffee tables and side tables go, think lesser is better. Marble was the “it” surface of 2018, and it doesn’t appear to be going anywhere, at least not this year. Plus, discount stores like T.J.Maxx still has plenty of marble-accented furniture up for sale, so it won’t be difficult scoring a great deal. Or find mirrored furniture that’ll catch the light and help open up the space. Ahead, we’ve gathered just a few of our favorite pieces of affordable furniture — from retailers like Ikea, Wayfair and more — that we believe will elevate your space like never before. 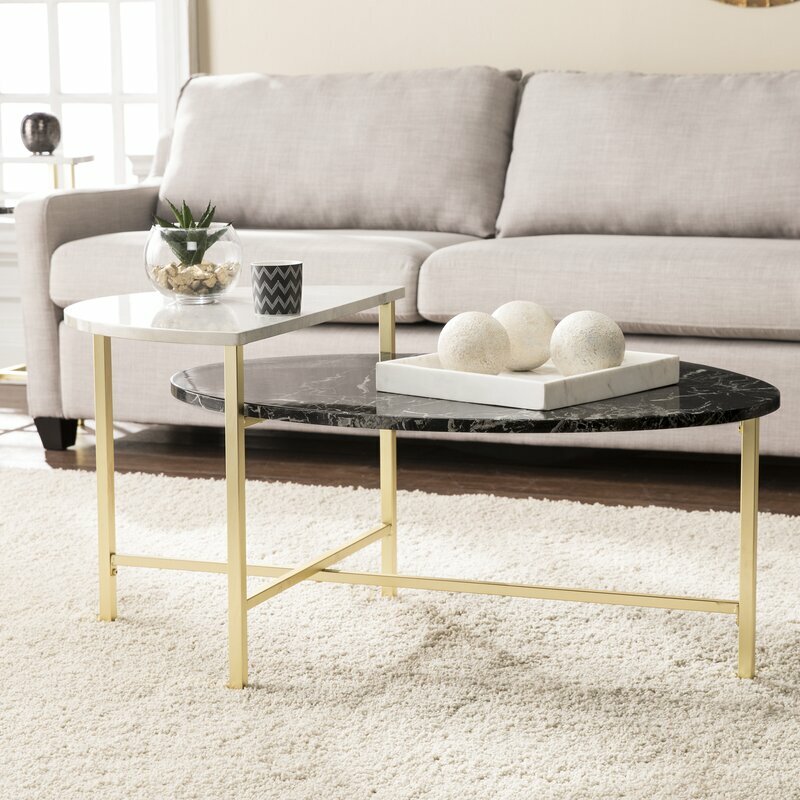 This coffee table from Ikea has clean lines, is neutral in color and has a glass top. Plus, you get two for the price of one. 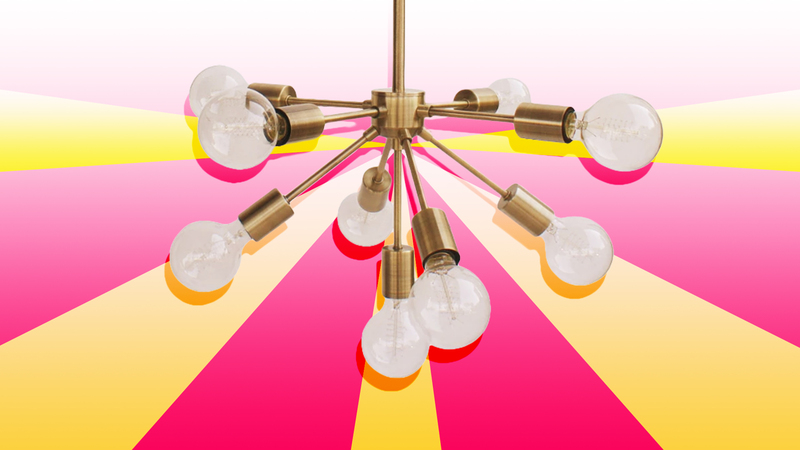 Not technically “furniture,” but it’s always a good time to upgrade your ceiling lights, and this will catch everyone’s eye. Velvet? Check. Comfortable? Check. On sale? Hell yes. Look at your bar stools. How long have you had those things? It’s time to get stools that are actually comfortable — and chic to boot. What’s classier than a bar cart? This one will not only complement any space, but it can also pass as a side table. Literally elevate your space with this multilevel, black-and-white coffee table. Sure, it’s faux marble, but no one needs to know that. It’s officially time to stop working from the couch or the dining room table. Get a desk. And don’t forget the office chair! Big fan of industrial chic? Then this side entry table from Bed Bath & Beyond should be calling your name. Pair the entry table with this rustic dual-purpose piece of furniture. It’s a coat rack and a place to set your shoes and bags.